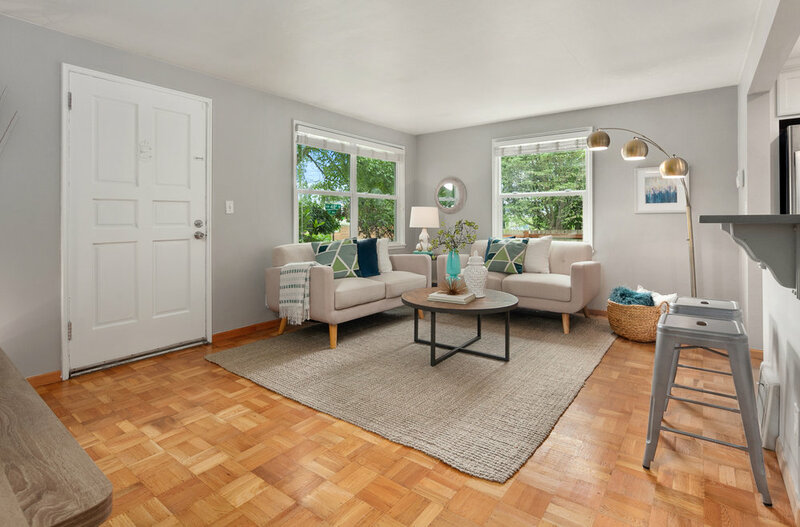 This meticulously maintained and beautifully updated post-war bungalow between Ballard and Fremont offers 3br/1ba and over 1800 sq ft of sunny living space, plus a nicely appointed basement apartment for extra income. 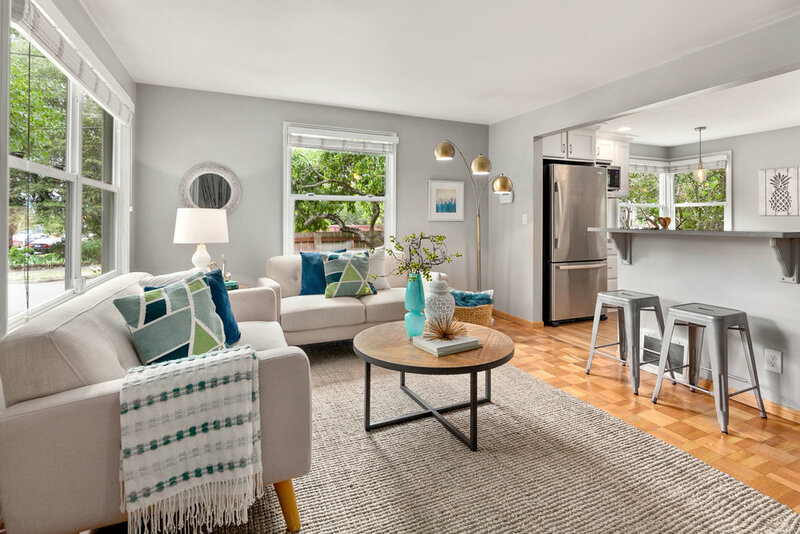 Located on a quiet corner lot, the home features a large landscaped yard and recent designer kitchen and bath remodels for an airy aesthetic that crisply combines vintage charm with contemporary finishes and amenities. This is the perfect close-in location for urban commutes! This meticulously maintained and thoughtfully remodeled home occupies a level corner lot between the dynamic urban neighborhoods of Fremont and Ballard, with beautiful gardens and mature native landscaping. It features over 1800 square feet of living space with three bedrooms and one bath on the upper two floors, with a spacious lower level apartment that offers terrific rental income potential, as well as a free-standing garage with a shop and storage loft. 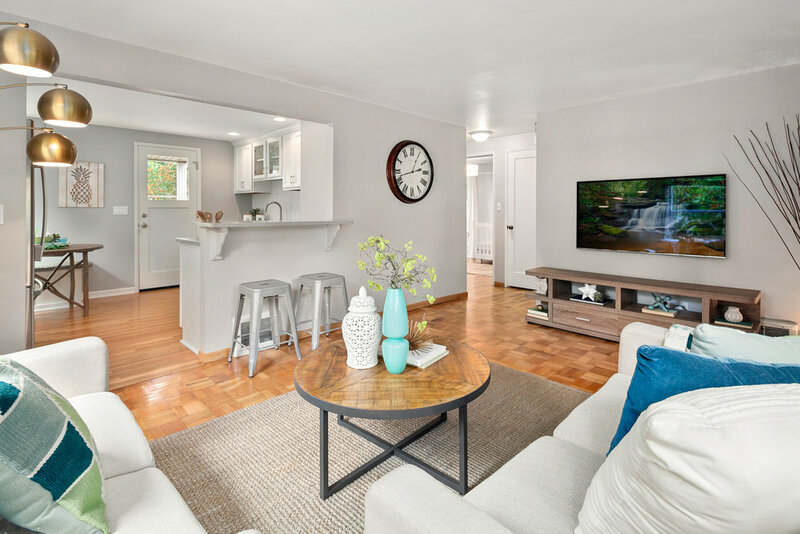 The house was originally constructed in 1944, and has been lovingly updated and remodeled throughout its existence, with a recent gourmet kitchen, a new bath, upstairs bedroom and a basement apartment added in the intervening years. It presents a charmingly modest post-war façade to the street, with a gorgeous pair of mature trees that filter light and provide natural shelter to the front yard. A cedar fence encloses the spacious back and side yards, affording plenty of open space for gardening, outdoor relaxation or play. The covered front porch leads into an entry foyer, which splits the main floor of the house into public and private sections. To the left is a comfortable living room that connects with the kitchen for easy conversation and flow. Two walls of wide double-hung windows provide plenty of natural light and ventilation, and the space has hardwood and parquet floors and an elegantly neutral palette with crisp white moldings and trim that contrast beautifully with light grey walls. To the right is a staircase to the second level, as well as two comfortable main floor bedrooms that share a richly appointed bath. 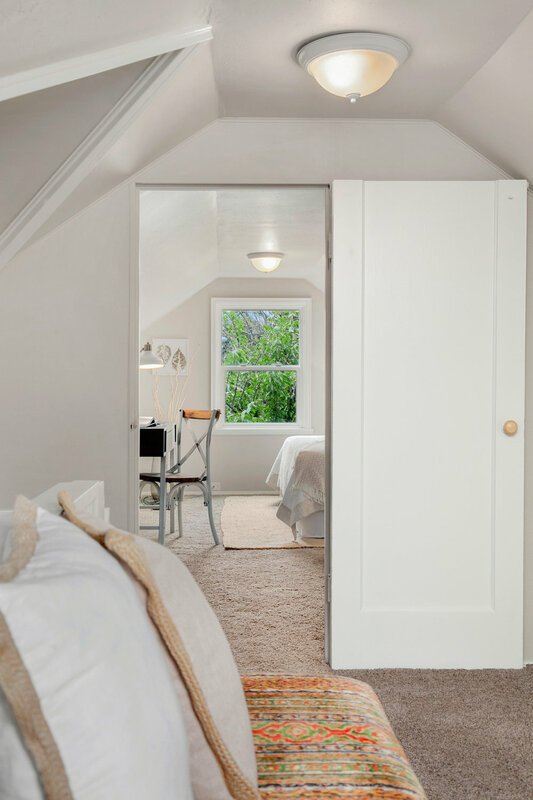 Upstairs, a long hallway leads to an additional bedroom, and provides convenient multi-use space for a home office or study. The kitchen is a restful hub of the home, with crisp white cabinets, recessed lighting and a peninsula for dining. It features a suite of high-end stainless appliances that include gas cooking, built-in refrigeration and a dishwasher. Quartz counters and herringbone tile backsplashes provide low maintenance and high style, while a bench beneath a corner window is ideal for dining in. Hip, designer fixtures and a door that leads out to the covered backyard deck complete the room. 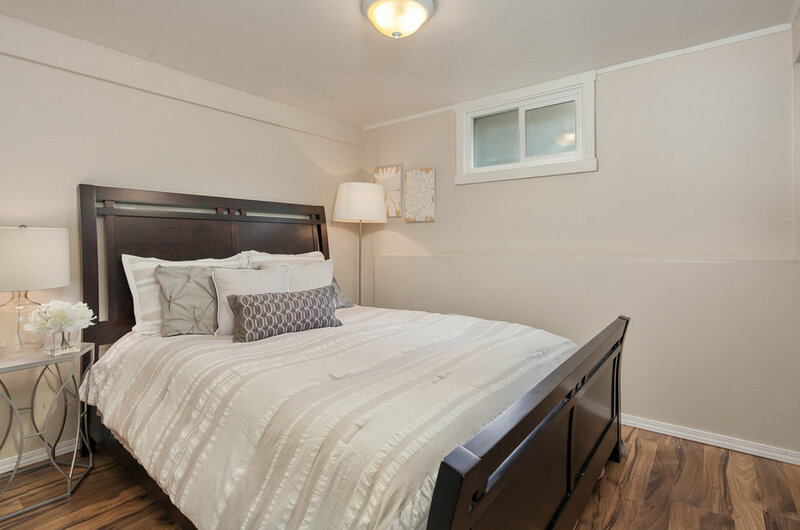 The main level bedrooms have beautiful, naturally finished hardwood floors and large windows for plenty of daylight and pleasant outlooks over the yard. 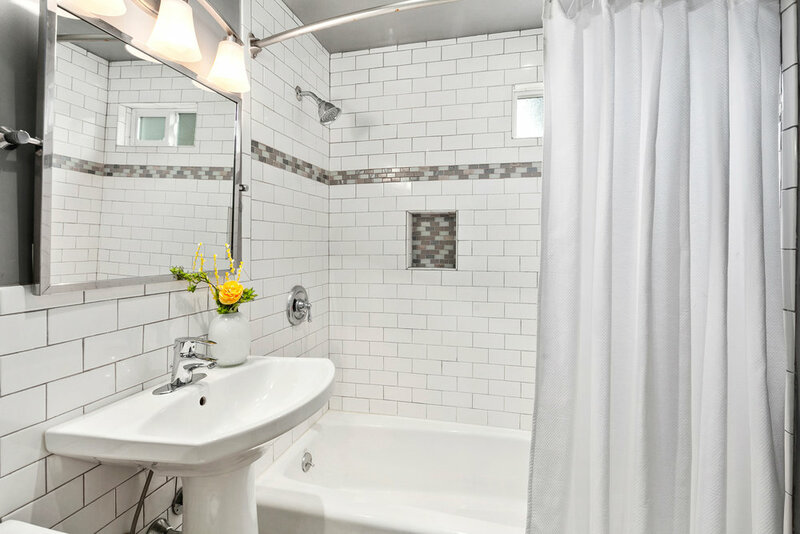 Both rooms share a recently remodeled bath that features large-format porcelain tile floors, timeless subway tile wainscoting and shower, a pedestal sink and contemporary designer fixture with recessed lighting. The second level has been carefully remodeled to include large landing that can easily be used for a home office or study space, and which leads down to an additional bedroom with walk-in closet. This is a perfect private retreat for guests, and offers outlooks over the yard and surrounding community. 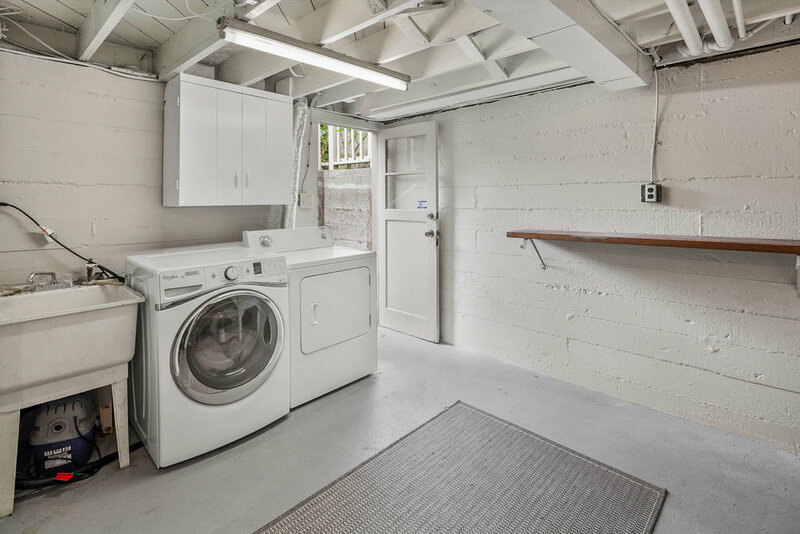 The lower level has been converted into a supremely comfortable one-bedroom basement apartment for long-term visitors or extra income in Seattle’s booming rental market. It offers a spacious living room that opens into the kitchen and dining areas, and includes a cozy private bedroom with plenty of storage. Floors are covered in laminate plank for easy maintenance and a sense of visual warmth, while a warmly neutral color palette with crisp white trim helps keep everything bright and airy. The kitchen is outfitted with a range, full-sized refrigerator and dishwasher, with new Shaker-style cabinets, granite counters and subway tile backsplashes. The spacious bedroom is a warm and quiet retreat. The house is surrounded by lush private gardens with native planting and mature trees for summer shade and a sense of enclosure. Most of the yard is fenced in, making it an ideal outdoor space for regular entertaining, children’s play and pets, while a large patio with an arbor makes a lovely area for dining al fresco. The freestanding garage includes a large extra shop area with a storage loft, and could easily be converted into stand-alone office or creative space. The surrounding neighborhood is a charming combination of older and more recent single-family houses, with wide sidewalks and streets lined with mature trees. This is a quiet and sun-drenched community that is also perfectly situated to take advantage of all the dynamic work, play and shopping opportunities that Ballard, Fremont and Phinney Ridge have to offer, with easy access to Leary Avenue, the Ballard and Fremont bridges and Aurora Avenue for cross-town commutes. The area is particularly convenient to the tech hubs of Fremont, Interbay and South Lake Union, with great mass transit options in all directions. 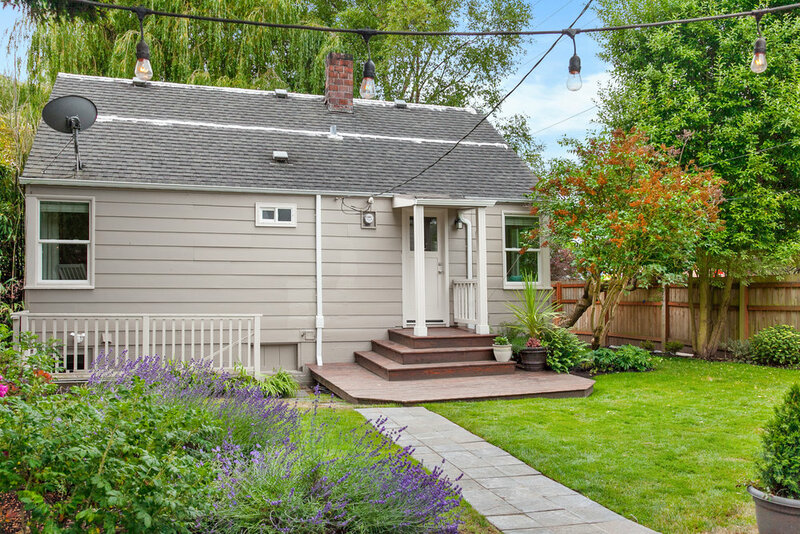 This is the epitome of Seattle bungalow living, with a great supporting community and a just-right house with plenty of vintage charm. Its basement apartment and expansive yard make it a must see for those who seek the Seattle urban dream.